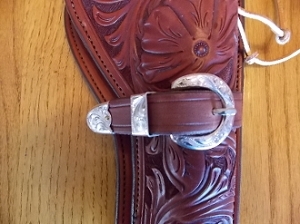 Made by Fritch Brother's Silver in California, this sterling silver buckle set is true Western silver. Fritch Brothers do beautiful hand engraving on this 3 or 4 piece buckle set that you can order in either 3/4" or 1". 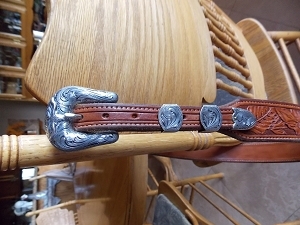 Check out our custom made hand carved waist belts!